By voter initiative last November, consumers in Washington state overwhelmingly knocked the state out of the liquor retail business. Despite a few last minute legal wrangles, things are on track for large new beer/wine/spirits and more operations to open on June 1st. Along with existing wine and beer outlets such as Costco, Wal-Mart, Fred Meyer, etc., at least two national chains are moving into the state with plans to offer the full booze Monty. 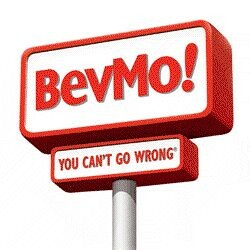 BevMo is a California-based company with 115 stores – most in California, a few in Arizona. I chatted with CEO Alan Johnson a few days ago, to see what plans he had for the first Washington BevMo stores. A veteran C-level executive with Pepsi, Disney, the Gap and others, he is a native Australian who joined BevMo about five years ago. I have only set foot in BevMo on a couple of occasions, so I asked my Facebook friends to weigh in with comments also. Here is what Mr. Johnson had to say, and some comments from the consumer side. Johnson spent a great deal of time expressing his belief that the wine and spirits training for BevMo staff is first rate, adding that “every store has at least one fully qualified sommelier.” He explained that 95% of all sales are to Club Bev members – a supermarket style “club” where lower prices are traded for the right to acquire purchase info and customer demographics. The first two stores in Washington will be located in Tacoma and Silverdale, but another four locations are already being negotiated, with letters of interest already signed. Johnson expects there to be more than 20 Washington state stores within the next five years. That said, Johnson went on to explain that the Washington stores would have the same number of SKUS as California, albeit a different mix of brands. Out of approximately 10,000 SKUS, he expects 3000 to 4000 wines, 1800 to 2200 spirits, 800 to 1000 beers; the rest nuts, cheese, crackers, caviar, cigars, etc. In the comments from my Facebook friends, there were more than a few who noted that BevMo in California tends to focus on widely-available wines, with a high percentage of house brands. All agreed that the stores were strongest in spirits, then beers, wines last. Not bad, just not outstanding. “They are a pretty slick operation that is good at merchandising and marketing,” one person commented. “Adept at anticipating and responding to trends, uses floor display areas well, generates catchy sales campaigns (a nickel extra for the second bottle of wine, etc. ), works closely with the big producers (which is either a positive or a negative depending on your point of view, of course)." So, time will tell. I have been a supporter of getting the state out of the retail business and I continue to think it is the right course of action. A bit messy at the moment, because the Legislature proved incapable of doing what needed to be done to ensure a well-ordered, legally buttoned-up transition. So hang on... it’s going to be a bit of a roller coaster for awhile. Paul, I just got back from a trip to Tucson, AZ visiting my retired mother down there. I needed to pick up some wine for the week so we head to BevMo to see what it was about. I was really disappointed in the selection and the staff. To me it felt like a state run liquor store. Sure they had a good selection, but my wife and I were hard pressed to find more than a handful of WA state wines. The European selections were awful. Nobody wanted to help us.We walked out without buying anything and I knew that Total Wine was in Tucson too and it was just a couple of blocks away and what a difference! This is the store I can't wait to have in WA state! Huge selection. Hard to find wines, even WA state wines. Lots of WA state wines. The European selection was the best I've seen in a very long time. Staff was friendly and helpful and plentiful! I will make frequent trips to Total Wine and just pass BevMo if this is the way all their stores are. Did he mention any plans for stocking spirits from local (WA and OR) distilleries? It will be interesting to see if the smaller wine producers will go to BevMo! or if there will be a sense of loyalty to the independants and bottle shops that have supported them thru the years. I don't put much faith in what Mr. Johnson has to say about "If Bev-Mo doesn't have it you don't need it" and using a lot of local products. In California the stores are entirely national brand items with "no room" for local products even if a customer wants them special ordered they just tell the customer they can't get it. Daveco, in Colorado, needs to come to Washington! They have a better selection of wine and liquor than BevMo, at similar or better prices. I bought a Cayuse syrah right off the shelf there in the library for about the same price it would cost from the winery ($70). They had a lot of Washington wines there, plus a lot of hard to find California wines and everything in between. I don't know if DaveCo has any plans to expand, but if they do, I hope they come here!